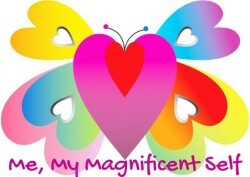 Welcome Edith to my blog Me, My Magnificent Self. IAM honoured to have your magnificent presence here as my Guest on this weeks Blogger/Author Feature. IAM delighted to count you amongst my Divine brothers and sisters here on WordPress, inspiring and supporting each other by writing about our own unique journey’s rising above the Human Game. Edith knows like no other how important it is to love and balance oneself and in our own wholeness we can be living examples of empowerment and passion that change the world, one heart at a time. Creating a loving, peaceful and harmonious world for us all to live a life of celebration. Edith was born in Austria and similar to myself, when she felt their was more to life than the physical world, she asked herself the question ‘Who AM I’. This instigated her journey of discovery and feeling her inner passion for singing it led her into her first deep trance meditation where she connected with her spirit voice and guided her further, step by step in life. In 2005 it was time for her to make her new home in Guatemala and practice her unique teaching. As a highly intuitive channel she guides the ones who are ready for their own transformation… co-creating Heaven on Earth. When Barbara came up with the idea of sharing our understanding of what compassion means to us, I was immediately interested in being part of this lovely new creation of hers. The attraction of expressing my way of living compassion in this world right away had its hand on me, and now I find myself realizing that „there is no simple one word answer to this question“. Maybe because true compassion is a feeling that is build out of many layers of understanding self, and allowing this understanding to infiltrate our behavior with others. Or maybe because all simple things in life – are multidimensional in how we perceive and experience them. From the heart I would say that in me, the feeling of compassion triggers the wish to assist others with my actions. This action can have a range as wide as sitting silently next to a friend, in order to let him/her know that they are seen and accepted with what ever is going on; to quietly praying for the collective and beloved ones or can be standing up and speaking out for people, animals and environment – who have no voice in the current world games. The capacity to naturally act on all of these impulses, I have gained through years of very committed and disciplined spiritual practice, a growing understanding what self-love truly means, and an iron will to overcome all my limitations. But non of it would have been effective, if self-compassion would not have guided my eye, while looking at others. Self-compassion took me a long way to learn. You see when I was a child, I had a mainly absent father – out to travel all week and earn the families income (very stereo type haha), and my mother was a person who would work and push through every physical, mental or emotional pain you can possibly imagine. She did so to such an extend, that I actually, through all my childhood considered her to be a very cruel person. Her individual mix of personal history, a natural B-Sides of the numerological vibration of 18/9 – which she represents, and most of all – a total refusal to grow spiritually. One day, when I was about 8 years old, I watched her splitting wood in the seller. She slipped with the ax, cut deeply into her meaty knee, took quietly a deep in-breath, than simply removed the ax – put a bandage on her blood dripping knee and continued. As a little child, that was a real time horror shocker to me! And it made me scared to my bones, as for imagining what she could do to my body when in rage. An emotional state that she was not shy of expressing in physical violence. Now in her world, that is totally understandable and somehow ok. She was born in Graz, Austria, in the year 1931, was 7 years old when the second world war in Austria started – an age where very important energetic gateways were often closed for the individual human, as we choose to identify stronger with the material world than with the spiritual realm – and her focus already got re-directed from hopefully, happily living a child’s life, to „survival of the fittest is the rule of the game“. So while she transitioned into a more physical body bound mindset, the world around her was dominated by aggression, forceful dominance and the loss of human life. As she has refused over the 85 years she has spend so far, on this planet, to consciously reflect on her own behavior, her life patterns have been built on pure survival instinct, physical fear reactions and a constant need to defend. Nevertheless it would not have been possible for me to extend this hand to her, if I would not have done the painful and deeply challenging inner work of self-recognizing my own harmful and abusive pattern. The work of self-acceptance in my humanness and the mistakes I made through life and make right now, profound work of forgiveness for all the harm created on unconscious levels which now are understood, and a constant commitment to work on my own inner confusions in respect to my own gentle heart. I first had to create this inner sanctuary space of accepting life on planet earth, excepting my flaws, accepting the ways I am learning about myself and spirit in this world, accepting that seeing my daily life very different than the human collective on this planet does right now – not because I am damaged or weak – but because I am whole in my heart. Spending years of cultivating my mind and my emotional body, has now widened the field of where my compassion wants to flow. My personal capacity to take more and more of this worlds brother and sister existence into consideration, as I am make an important decision about „my life“. So on another layer you probably could also say that compassion is „the human capacity for us to develop“, if we truly desire world peace and a sustainable humane life on the blue planet. It is Native American understanding, that we are here as guardians and guides of the land and all its creatures. I belief it is time we all together start acting on that. Time to approach life from a place of compassionate awareness for each others needs and respect for the future, our children desire to have!! I am a spiritual guide, an assistant for healing processes, an intuitive trainer, entrepreneur and spiritual blogger. Over the past 6 years I have supported people interested in developing their personal, divine higher abilities; as well as empathic beings, Indigo and Crystal children, musicians, artists, healer and social worker, to step into embodying their spiritual powers and supported them in finding a practical way of translation for everyday life. You can read more about Edith on her about page. Breathing Techniques and voice training, variations of Meditation, Mental training by K. Tepperwein, intense training in Hawaiian Huna shamanism, intense training in Native American shamanism, training in Tantric life approach including sensitivity training for rituals of the physical body, Family Constellation work by B. Hellinger, the Creation of Healing Space, Holding Space for Ceremonial work, the Ascended Masters Teachings and the Ayahuasca spirit. I am a highly intuitive channel for divine guidance and path, with a trained healing voice. As a spiritual Blogger, I write every few days inspirational words to help guide you towards your light. Especially in these days of fear and darkness, it is important we all remember that in each moment we have a choice. I can see how quick and effortless people shift around Edith. It is thanks to my work with her, that for the first time in my life I feel able to bring all this beautiful visions of mine into reality on this planet. And that I feel confident enough to share my passion. It’s been a pleasure reading your inspiring words Edith about your feelings on Compassion and thank you for sharing your own unique journey through your blogging and being the example of the compassionate intuitive channel for others to resonate with their own spiritual awakening. Together we are co-creating a loving and peaceful world. Join my MasterCreator Class and emerge yourself in the celebration of life through dance, song, art, relaxed inner journeys and beyond everything known… preparing yourself for your NEW role on New Earth. All the money raised from my books and classes go to my ‘Creative Art Project’ The Magnificent Consciousness that I bring to our little ones… inspiring them to explore, discover and express life and their part in it ALL. You are too kind Barbara!! So many of us who find ourselves on this path right now have come from places of Self healing.. A wonderful share from Edith..